Class action attorney Mike McGlamry always thought there was something fishy about prescription cat food. Although you can buy it only from a vet, and it costs a lot more than nonprescription food, some of those nonprescription foods available at pet supply stores seem to have the exact same ingredients. 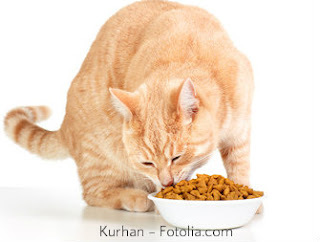 McGlamry and lawyers in California, North Carolina and Minnesota have filed a class action antitrust complaint in the US District Court for the Northern District of California alleging that prescription pet food is no more than a marketing scheme designed to boost profits. Defendants in the complaint are names you're sure to recognize: Mars PetCare, Nestle Purina and Hills Pet Nutrition. PetSmart, the nation's largest pet food retailer, Banfield Pet Hospitals and Blue Pearl emergency and specialty hospitals are also named in the complaint. Mars PetCare owns the Royal Canin brand and Banfield Pet Hospitals. It also has an ownership stake in Blue Pearl and has plans to acquire VCA later this year. VCA owns animal hospitals, Antech Diagnostics; Sound, a global imaging company; and Camp Bow Wow, dog daycare and boarding facilities. What's In That Prescription Cat Food? Prescription cat food is formulated to address specific conditions, like obesity, kidney disease, diabetes, urinary tract issues, food sensitivities and even hyperthyroidism. The food contains no medicine; it's the ingredients that are said to be therapeutic. It all comes with the admonishment that the cat has to stay on it for life. But most prescription foods contain inferior ingredients. And cats, who are notoriously careful eaters, often recognize a bad product when they see it and refuse to eat it. The hunger strike could go on indefinitely, or until "Mom" caves and buys something else. The cost of the food, along with the stress of trying to get cats to eat something they don't like can become a real burden for loving humans who are just trying to do what the doctor ordered. For most cats, there are alternatives to prescription food that are less expensive and more likely to pass the taste test. For instance, many obese cats will lose weight on an all-wet-food diet, and an all-wet-food diet will help control a diabetic cat's blood glucose levels. 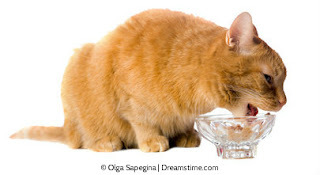 Several manufacturers make food with novel protein sources, so cats with food sensitivities have no need for prescription diets. If you have a cat with a medical condition that could benefit from a special diet, talk to your vet about alternatives to prescription cat food. And if there's no help there, join a disease-specific email list. List members can recommend food that will help your cat's health while pleasing his palate... and your bank account. Well, I think Mike McGlamry took correct step to determine the whole story.